While the summer months often bring more customers through the store doors, they also bring an increased threat to your store’s security. According to the United States Department of Justice, crime rates increase during warmer weather. Loitering, vandalism, shoplifting, and even robbery are all potential threats for convenience stores during the summer. Awareness is the key to preventing crime at your store. Train your staff to be aware of their surroundings and always follow the “if you see something, say something” rule. Focus on safety and security with new employees, and make sure your existing staff members go through refresher courses on loss prevention, store safety, and robbery deterrence. Take the steps now to make sure your store is a destination for those enjoying their summers, and not those who aim to ruin yours. The Loss Prevention Training Workshop is designed to cover loss prevention strategies specifically for convenience store employees. This workshop is critical training for employees new in the industry, but can also be used as a refresher course for employees at all levels. Loss in your store affects everyone. When there are excessive losses, it affects the bottom line, the prices that must be charged to customers, and the money available to hire and pay staff members. There are many different causes of loss, but they almost all have one thing in common: people. Every member of your staff can play a role in creating loss — and preventing it. Cashiers can prevent loss by staying focused when completing customer transactions. All cashiers should be thoroughly trained on your store’s policies regarding cash, credit, and debit transactions. 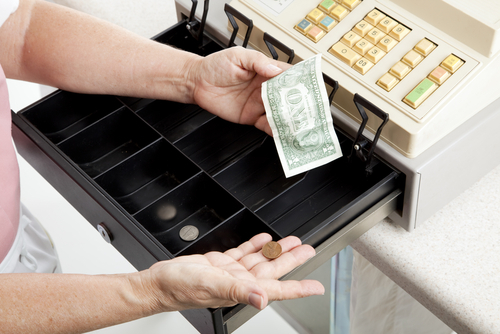 Loss can occur simply because a cashier is not properly trained on the register system. Training new hires is critical, but follow-up loss prevention training is also necessary to ensure you’re setting your cashiers up for success. Managers and employees authorized to receive deliveries have a direct impact on loss prevention. Unfortunately, some of a c-store’s losses come from vendor errors or theft. Following receiving procedures precisely and consistently, as well as maintaining professional vendor relationships, will help deter these types of losses. All employees can prevent other types of losses. Improper storage, for example, can cause spoilage and big losses. Mis-priced items or inaccurate signage can cause a drop in sales of a particular product, leading to harmful losses. Theses modules were designed to teach basic safety guidelines and skills for various knife types, and can be found in our Foodservice Workshop. Basic Safety Guidelines for knives and kitchen shears. How to dry and store knives. Types of knives and when to use them. Basic knife skills for various food preparation tasks. Employee theft always comes as a shock. After all, these people are family. But it happens—even in the best run operations. In fact, according to the United States Chamber of Commerce, 75 percent of employees steal from their workplace and most do it repeatedly. Click here to find out the best defense against employee theft.